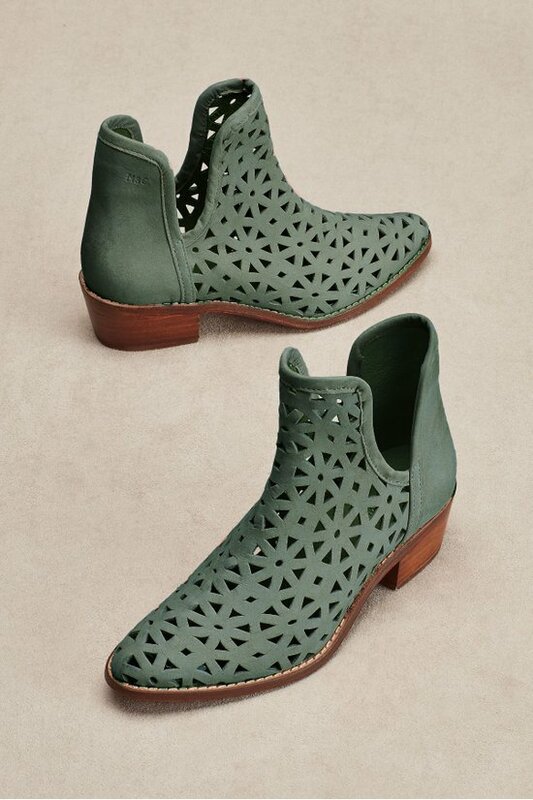 Lacy laser-cut pinwheels spin out a breezy pattern on these up-to-the-moment booties, handcrafted in Mexican leather with a scalloped collar, walkable stacked heel and sleek pointed toe. With a leather lining and sole, it's the easy pull-on bootie of the season. 1" heel.